The temperature difference between the ground temperature of the black mulch is small, the permeability of the black mulch is better than the white mulch, the plants of the black mulch are not prone to premature aging, and the nighttime temperature of the black mulch is high. 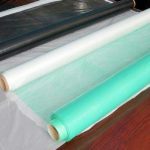 Plastic film features: ground cover film, usually transparent or black PE film, also green, silver film, used for ground covering, to increase soil temperature, maintain soil moisture, maintain soil structure, prevent pests from attacking crops and caused by certain microorganisms diseases and promote plant growth. 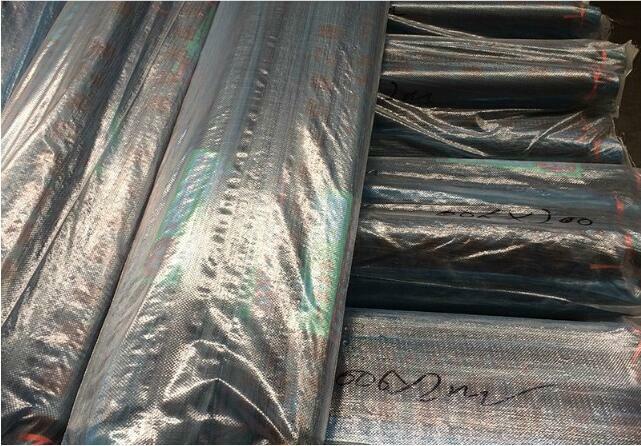 Black plastic mulch features: black plastic film transmittance is only 1-3%, only 30-40% heat radiation. Since it is almost non-transparent, weeds cannot germinate and perform photosynthesis, so the weeding effect is significant. Black mulch in the sun, its rapid warming, high humidity, but the heat transferred to the soil is less, so the warming effect is not as transparent film, there is a cooling effect during the day in summer. When used, tile it on the ground so that the crop can be exposed outside and it can also be spread between the crops rows. 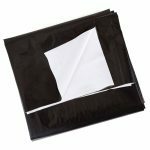 In vegetable cultivation, vegetable growers usually use thin (0.015 to 0.02 mm) polyethylene or polyvinyl chloride black plastic film to cover the surface. 1. Increase the ground temperature. 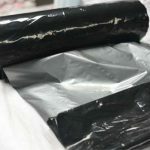 The use of transparent black plastic film, generally can increase the temperature of 5 cm deep topsoil temperature 3-6°C, increasing the temperature is conducive to rapid seedlings in early spring after planting and promote root growth. 2. Drought prevention, flood prevention, anti-return salt. 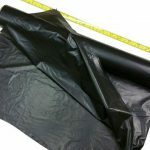 On the surface of black plastic film, rainwater is discharged along the film into the sulcus and the soil moisture is generally not excessively saturated. When it is not raining, the water in the lower layer of the soil can run vertically from bottom to top, and the water in the gingival ditches can also be transferred laterally along the gingival rim to the middle of the pods, and the plants can absorb them. 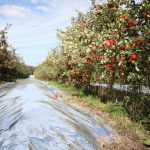 During drought, the film impede the evaporation of soil moisture and have water retention effect, which can reduce irrigation times. 3. Anti-soil compaction. 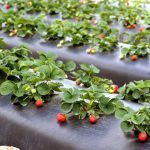 During the growing season, the black plastic mulch covers the surface of the soil to reduce the wind and rain, people trampling in the management, can make the soil to maintain good loose state, prevent soil compaction. 4. Prevention of nutrient loss. 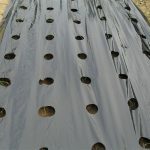 After the black plastic mulch is covered, the soil temperature and humidity are suitable, and the permeability is good. The maximum temperature of the soil can reach above 30°C. Therefore, the soil microorganisms increase and the activity is enhanced, which can accelerate the decomposition and transformation of organic matter and promote the activity and reproduction of soil beneficial microorganisms. The effective nutrients in the soil increase, generally saving about 1/3 of the fertilizer. 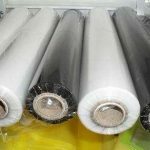 Due to the barrier of black plastic film, nitrogen in the soil can be prevented from evaporating, and leaching loss caused by rain erosion can be prevented, conservative fertilizer. Disadvantages: Warming is not as fast as white plastic film. It is still difficult to degrade. Henan Yinfeng Plastic Co. Ltd is professional mulch film manufacturer in China, we can custom and wholesale plastic mulch, including black plastic mulch, white mulch, white/black mulch, black / silver mulch. 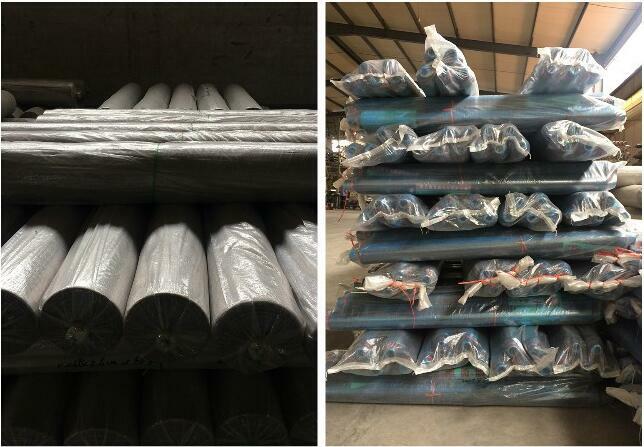 Min order is 3 tons, and our products have exporter to many countries. If you are in philippines, it is OK, we can delivery goods for you. High quality products, fast logistics, professional technical guidance. Welcome to visit our factory. Any question, please contact us by E-mail gaom@infunplastic.com thank you very much.